Qualia’s Jungle. 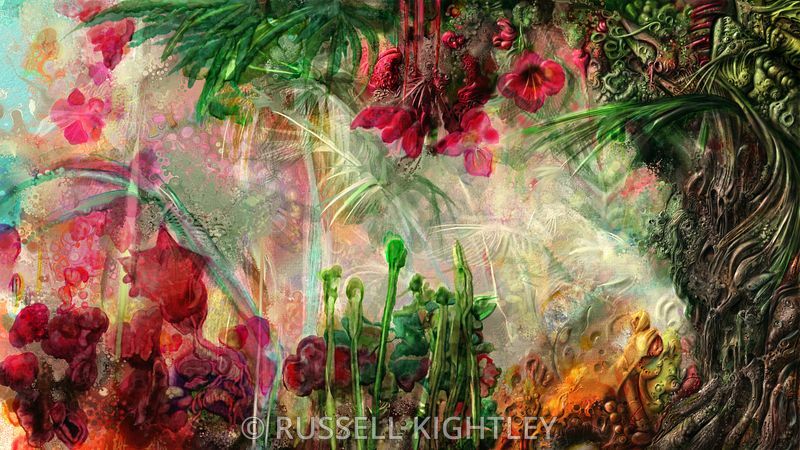 A semi-abstract painting of a forest or jungle with embedded patterns and faces. Some parts are highly finished and other parts are loose. As you stare at it, faces, and figures, and monsters will appear. Qualia are conscious experiences, such as the blueness of the colour blue. WINNER: E. G. Harvey Award Australian SF Art 2016.